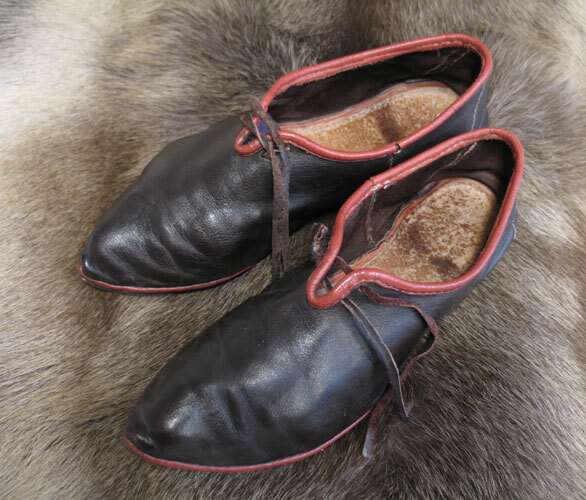 The shoes of the “Bockstenmannen”. An archaeologic find from Sweden. 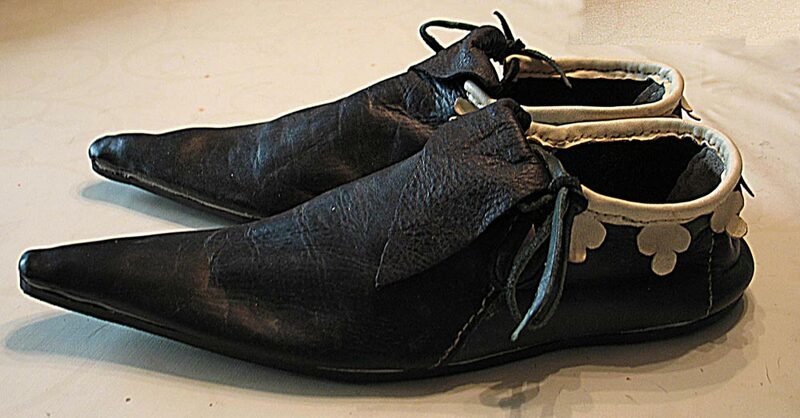 My shoes are sewn and turned, and made of cowleather. Burgund shoes free after a German find from 1500. The leather is some pieces I found on the vintage market. Possibly for furnitures. 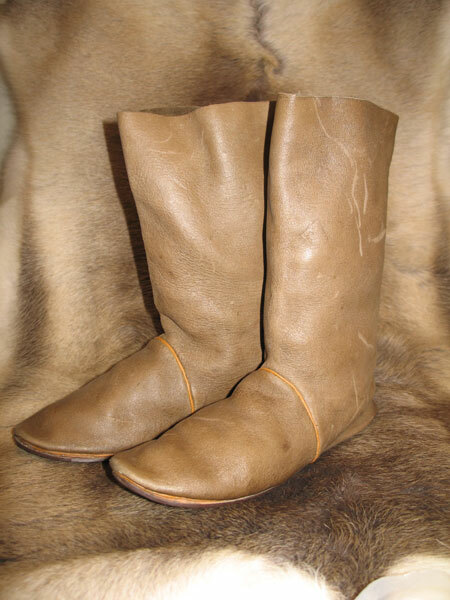 Boots in moose leather. Nice to wear when it’s wet outside. 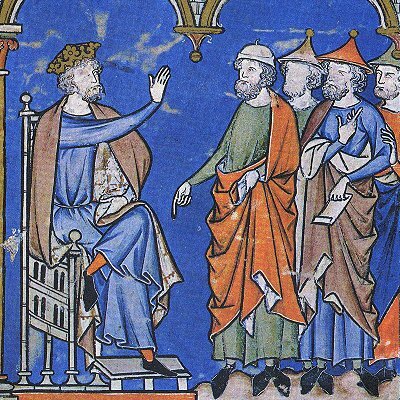 Pattern from a find from 1300.